The return of the bald and the beautiful. He's bald. He has a tattooed barcode at the back of his head. He carries a briefcase. And he's back. Hitman fans have had to wait a while since the last instalment, Blood Money. In the meantime, we were offered absolute tripe in the form of a cinematic adaptation. The movie proved two things: 1) Getting Timothy Olyphant to go bald doesn't make him a convincing Agent 47; 2) Casting hot Russian Olga Kurylenko is not enough to save a bad movie. Especially when you have a bald Timothy Olyphant playing a severely watered-down version of 47. 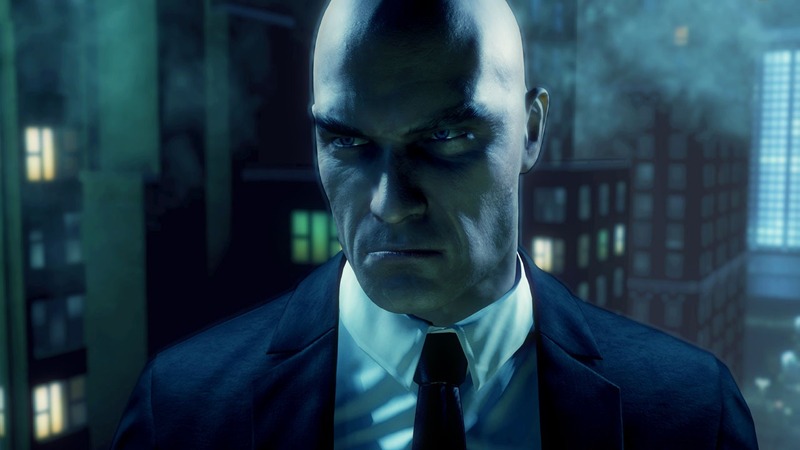 The movie was a bitter pill to swallow, but with the fifth iteration of the Hitman series, Agent 47 is back to cleanse your palate. And no, that's not a euphemism for strangling you with his fibre wire, although it very well could be. The game is called Absolution — an apt name, because in a way, it completely absolves all of the movie's sins. Yes, I'm pissed. No, I'm not Raghu. Or Rajiv. Click image to enlarge. The story might be regarded as your run-of-the-mill Action plot: conspiracy, a quest for the truth, friends turning foes, etc. However, like any Hitman title, it's not the story that makes it a fantastic experience. 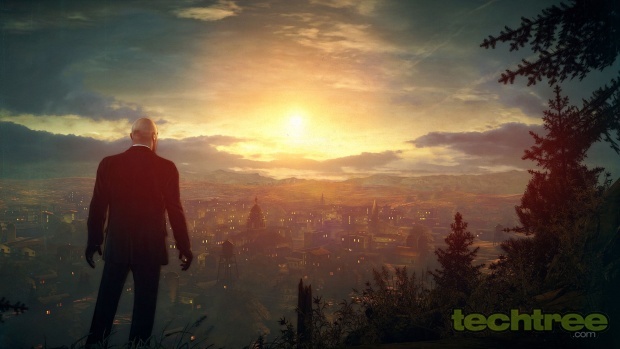 Thankfully, the gameplay is classic Hitman — meaning you have to kill targets as stealthily as possible. Of course, there are a variety of ways to go about it. You can choose to go in all guns blazing, kill all the henchmen, and finally put a noisy bullet through your target's head. That's not the easy way, though. The more recklessly you approach a mission, the more difficult it gets to fight your way through. Ammo is hard to find, so getting into a firefight more often than not spells a messy death. Alternatively, you can use other methods to eliminate your target, such as poisoning his food, or sniping him from a distance. This is where Absolution introduces a nifty feature called Instinct, which is an in-game aid with multiple uses. Pressing <R2> takes you into Instinct mode, highlighting the exact location of every guard around the area. It also shows you exactly what route they're going to take on their rounds. This is a vital tool, as it helps you plan your attacks. Instinct also indicates interesting points in the surroundings: windows you can snipe from, food you can poison, books and soda cans you can use to distract guards, and dumpsters to hide in. Even secret agents have their emo moments. Click image to enlarge. Instinct also comes into play when in disguise. If you're trying to pass off as a gardener, for example, and you come in close contact with another maali, he can see through your disguise and blow your cover. Switching to Instinct mode when near other NPCs makes 47 hide his face and causally walk away. This however, is a limited aid, so you have to use it economically, while performing stealth kills replenishes the Instinct meter. Absolution looks great too. A lot of detail has been put into the voice acting and character detailing, making conversation between characters look realistic. The preview code I tried out didn't have a 1080p mode, but the game still looked quite gorgeous. I can't wait to see the title in all its high-definition goodness once it comes out. If I didn't know better, I'd say this was a hipster prison compound. Click image to enlarge. The game has its share of glitches though. I noticed that the audio was a little unclear, with the background music overpowering the dialogue. There were a few graphical glitches too — some textures showed up in rainbow colours, and at one point 47's trousers decided to become bright blue. This is great attire for a hippie from the `60s, but not too impressive for someone who's about to infiltrate a mansion to kill somebody important. Having said that, since this was just an early build preview, I'm sure all these errors will be ironed out by the time the game releases. 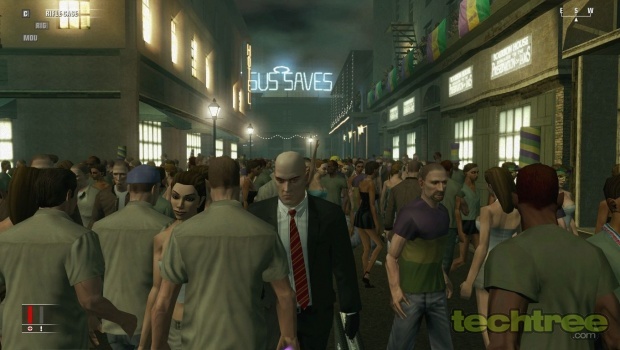 Long story short, Hitman: Absolution looks fantastic. The numerous ways to carry out your missions ensures that it provides plenty of replay value. The AI is challenging, and will make sure that every hit you complete successfully brings a smile of accomplishment to your face. Not many games can do that. I definitely recommend you pre-order this title. Check out the gallery below for high-quality screenshots.